Our unique Farmer Exchange service is a no-hassle no-fuss way for farmers to get value for their unproductive sheep & cattle. We give you Farmer Exchange Kilo Credits based on the kill weight of your livestock.  You can use these kilo credits to exchange for our range of frozen dog food or our high energy dog rolls. Give us a call. It's as simple as that. Once we have processed your livestock the kilo credits owing to you are accumulated on your Farmer Exchange Account. If your account goes in the debit you have two options, be invoiced for these kilos of dog food or simply exchange more livestock to top up your account. If you have an injured beast we will come to you. We offer this service to clients in our area. Simply give us a call or email. Call out fee of 25kg is taken off your Farmer Exchange kilo credits. How do I book my livestock in? Simply call or email us and one of our helpful team will do the rest. Which stores offer Farmer Exchange credits? Hastings - pick up direct from our factory or we may be able to deliver back to your farm (area dependent). Subject to change. Full process can be an option. If you have any questions at all, please get in touch with us today. We will need your Animal Declaration Status form to be filled out - please download it here.